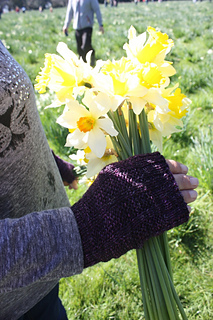 These mitts are a wise choice between seasons; they’ll keep your hands warm when there’s a spring (or autumn!) chill in the air. Constructed with a simple garter rib pattern which means there’s enough going on to keep your brain active, but relaxed enough to keep watching your favourite TV show. Good looking and fun to knit with only (approx.) 50g of yarn - a happy win-win-win! 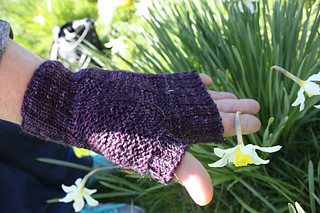 Pattern is drafted for a women’s size medium, but there’s plenty of stretch in these mitts. They could easily stretch to a large mens size in width so you’ll only need to adjust the length - the pattern tells you where. 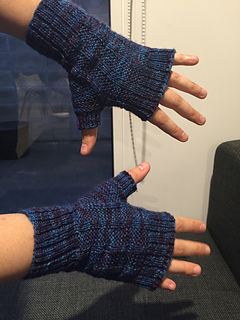 If you can knit in the round, you can knit this pattern. The PDF of the pattern contains links to techniques you may need - but it assumes you are already comfortable with using DPNs or the magic loop technique. Note that this is a free pattern and has not been tech-edited. While I am confident that you will enjoy this pattern, and I have checked it thoroughly, mistakes can happen. 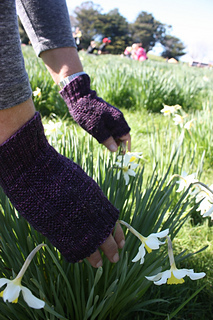 I would appreciate any comments knitters may have once they’ve finished their mitts!